Going into Spring Training, the battle for the everyday left fielder’s job was billed as Travis Snider vs. Eric Thames. Then once Thames claimed the title, shortly thereafter he faltered and Rajai Davis stepped in to take the reins. After all was said and done, who ever would’ve ever guessed Rajai Davis would be the one blocking Travis Snider from being called up by the Toronto Blue Jays? for Travis Snider right now with the recent surge of Rajai Davis. Seriously, what does Travis Snider have to do to make his way onto the Blue Jays roster? Much like Bluebird Banter, I had an inkling last week that the time for Snider might be soon, and turns out we were totally off base. I know I’m speaking about Travis Snider as if he’s entitled to that starting left fielder’s job, but the Blue Jays either need to give Snider a shot already, or just let him go. You can only dangle a carrot (or in this case, a steak) for so long in front of somebody before they lose interest. I’m so sick and tired of the way this organization has jerked Travis around over the years, and frankly I’m surprised he’s managed to remain so upbeat and have a positive outlook about the whole thing. I can’t say I’d be the same way. Being yo-yoed back and forth from the majors to the minor, having your swing retooled and suffering from injuries can’t be good for the psyche of a young player like Travis Snider. 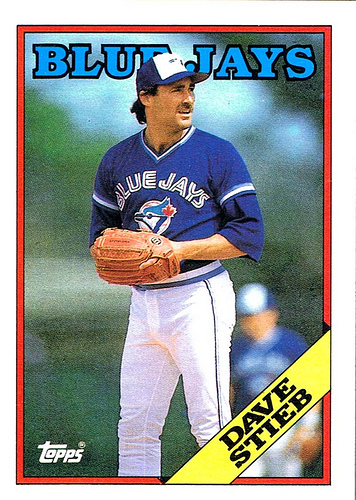 He’s now spent parts of four seasons at the Major League level with the Blue Jays, and still has yet to play a full season. Sure, it’s only been just over a week since Snider returned from a wrist injury, but what precisely are the Blue Jays waiting for to call him up? Because I’d think that a week’s worth of games would be plenty of enough time to bring him up the club. The one conspiracy theory out there is that Alex Anthopoulos is merely showcasing Rajai Davis as trade bait, and that it’s a domino effect which will lead to Travis Snider playing in left field for the Blue Jays on an everyday basis. To be honest, I just think that Rajai Davis is merely a fourth outfielder masquerading as a starting left fielder right now. He’s had a hot June and is always a threat on the basepaths, but I’m afraid that’s all he adds to the ball club. There has to be some team out there who sees Rajai Davis’ speed as an asset. I just look to the trade last year for Michael Bourn as a reference point, with Bourn obviously being a much superior hitter and fielder. For a team that needs a corner outfielder or even a centre fielder to help push them over the hump, Rajai Davis could be a very viable option. And with that $3 million dollar club option for the 2013 season, he wouldn’t merely be a rental either. So unless Alex Anthopoulos doesn’t want to show his hand and admit that the Blue Jays are in fact just trying to build the trade value for Rajai Davis, I can’t understand why they are keeping Travis Snider in Las Vegas. With Travis Snider, I almost feel emotionally invested in his journey. Like I mentioned earlier, he’s spent portions of four season with the Blue Jays, and I just want to see him succeed and stay in the Major Leagues. That doesn’t necessarily mean Rajai Davis has to be traded to make room for Travis Snider on the roster, but Davis should really only be relegated to fourth outfielder duties and used as a pinch runner. I feel like the offensive and defensive upside of Snider is just so much greater than what Davis can offer this team right now. Even if Rajai is having a great month at the plate, how long is that going to last? Judging by the way he was punishing PCL pitching, Adam Lind’s call up was inevitable. Travis Snider has done everything the club has asked him to, and yet he’s still in exile down in Las Vegas. If Travis can continue to stay healthy and perform at the level he has been, hopefully that will give the Blue Jays no choice but to call him up in the coming weeks. But until that day, we’ll just wait until they finally free Travis. I'm going to give AA a bit of rope here. I fully believe he knows two big questions that must be answered heading into the off-season are: 1) Is Adam Lind my first baseman; and 2) Is Travis Snider my left fielder?. I'm very confident that by August 1 – at the latest – Travis will be in left, with Rajai traded or on the bench. If I'm wrong, then the next rant is on me. I hope you're right! I think Snider's out of options as well, so if he doesn't break camp next year, the Blue Jays will expose him to waivers. I agree with every word you wrote. The whole Thames v Snider Spring Training charade has squashed any cred such a future competition holds, clearly JF and AA have an issue with Snider, one that isn't public, else he would have made the team out of spring training, or certainly when Thames showed his true AAA colours in April and May. Something reeks here. I love a good conspiracy theory myself, and there definitely has been a mishandling over Snider over the course of his career. Some of it was by the previous regime, some by the current regime. I've been saying this about Snider since last year. Either play him or trade him. I'm getting sick of the whole saga. I can sort of see why the team is sticking with Ray-Jay, the way he's been hitting. What I can't see is why Ben Francisco has a job with the team. Francisco hits righthanded, so there's no platoon value there – so far as I can tell, he's just a slower version of Davis. Platoon Value with Lind (in the DH spot) though. Against lefties EE plays 1st Fransisco DH's and against righties Lind plays 1st, EE DH's and Fransisco rides the Bench. AA has said that while EE would be in the lineup everyday, Lind & Francisco would platoon, depending on the pitcher. Why not have Lind and Rajai platoon instead (at DH), and install Snider at LF. Really, between those four guys (Lind, EE, Snider & Rajai) & three positions, you could easily rotate the hot hand, and it makes the bench that much stronger. Add in that Snider & Rajai can spell any of the OF positions, and suddenly the Jays look really deep. The remaining bench positions can fall to those guys with versatility (e.g. Omar, Yan, Mathis). IMO, that's a good looking 13. I like that idea – Lind versus righties, Rajai versus lefties. Let's just hope that Farrell learned his lesson and doesn't plug Lind back into the cleanup spot right away. "So unless Alex Anthopoulos doesn't want to show his hand and admit that the Blue Jays are in fact just trying to build the trade value for Rajai Davis, I can't understand why they are keeping Travis Snider in Las Vegas." You just answered your own question dude. It's a pretty plausible explanation. They need pitching, they have assets, trades are a-comin'. I just I just needed to say it out loud for it all to make sense – thanks! 3) I will be rooting for him wherever he goes if he is traded – might even be enough to change my alliances in the world of baseball fan-ship. I really don't mind the decision at all until the trade deadline. "I'm so sick and tired of the way this organization has jerked Travis around over the years"
The jerking wasn't just the issue of sending him back to the minors. What you are forgetting is that the jerking around was primarily about bringing him up too soon. It's gotta go both ways, risking his last callup only a week since returning from his 3rd career wrist injury really doesn't make sense. If Rajai can form a package to get us another core piece, or just to confirm the market for him, I'm ok with another month of development for Snider and a good 5-6 weeks at AAA post-wrist injury. What I'm paranoid about is the Blue Jays might not give Snider enough time to get Major League at bats this season, and then they're back at square one during Spring Training. Except then, they don't have liberty of optioning him down to the minors. "Travis Snider has done everything the club has asked him to"
He has? No offense intended but I wager no one outside of the organization and and Travis Snider himself is in much of a position to know exactly what the club has asked him to do. Frankly, I find all the constant moaning (not here specifically but on the internet in general) about Travis Snider tedious and annoying. Particularily the constant lack of player accountability and entitlement that's been magically foisted upon him as if he were somehow not principally to blame for his own lack of success at the MLB level, the constant braying of conspiracy theories (this Davis one is just a variation of the Thames one really), the intellectual dishonesty of some fans claims that they want him to stay at one level for a whole year. I swear I think a certain percentage of fandom has such a blinding mancrush that I think they would be happy if they renamed the team the Toronto Travis Sniders. I think people need to start allowing for the possibility that maybe Travis Snider just isn't as good as they think he is. Maybe, just maybe the reason Snider isn't on the Toronto Blue Jays roster is because he's not good enough to be on the roster and maybe that's the reason he's been sent down to the minors after getting chance after chance to prove he could stick. Frankly, I think a huge portion of the Scoial Media fanbase has completely lost their objectivity when it comes to Travis Snider. Part of the issues is that they called him up too early. Second, they sat him against left-handed pitchers and when he DID face a left-handed reliever he would have some bad strike-outs. Then they would send him back down to work facing left-handed pitchers and to take more pitches, work on his walk/strike-out ratio — bring him back up and SIT HIM AGAINST LEFT-HANDED PITCHERS. Yes, I can understand why it might get on your nerves (same thing Thames fans do to me), but I think he deserves to be played every day at the major league level. "I think he deserves to be played every day at the major league level." Why does he deserve that? Sorry, but I don't see anything in his body of work at the major league level that says he's earned a secure spot in the line-up. I suppose you could make an legitimate arguement that his performance this year in the minors warrents a chance to earn extra playing time in the majors but that's a different beast from "played every day". Not for nothing but if his hitting vs. LHP is the primary factor keeping him out of the major leagues right now then you won't be seeing him anytime soon… he's OPS'ing 300 points lower vs. LHP in Vegas this year. These are all fair points. This might just be me being paranoid after all these years, but sometimes I feel like upper management is feeding us a line when they say they're sending a player down to the minors to "work on their swing". When it happened last year with Snider, once he came back during that series at Fenway Park, to the naked eye his swing/stance didn't look all that different. I'm not saying Snider's entitled to that job in left and the Blue Jays should just give it to him because he's been around the longest. I just don't believe Davis is the superior player to be in that position. He's playing well right now, but how long can we truly expect that to last for? I'd rather give Travis a shot and see what he can do. 300 points lower versus lefties? Wow, I didn't realize the splits were that bad. Hmmmm. I say he deserves to play every day at the major league level because, admittedly, I place a significant weight on the "human element". I believe that if a team chooses to draft a young man straight out of high school in the first round, that organization should hold the responsibility of making sure they manage his development properly. You see high school pitchers start off by pitching a couple innings at a time to stretch them out, get them ready for the stresses such a position puts on their arms (and bodies) and while I understand that position players don't have the same amount/type of stresses, I still think they need to be careful with kids that really are still growing into their own bodies. On top of that is the emotional/psychological element. I truly believe that the Blue Jays have jerked around Snider a lot (maybe because they really needed to call him up, maybe they placed too much weight in his minor league numbers like we know not to do as much anymore but again… this was only a few years back). Snider has never played more than 85 games in a single 162 game-long season since he was first called up in 2008. Shuffling him between the majors and AAA makes no sense to me and can't be good for his psyche yet he is handling it (for all we know, through his tweets and interviews) like an adult twice his age. When he was called up in 2008, Snider had 73 ABs – 59 against RHP and 14 against LHP. In 2009, 20% of his ABs were against LHP. In 2010, the same proportion. Between 2009 & 2010 (greater sample size), he improved against LHP. In contrast, Eric Thames had 276 ABs against RHP and 86 against LHP, 10% more than Snider had ever faced in his first three years playing major league games. He was also drafted out of university and had more time to develop. All this said, Eric Thames held a lower batting average against LHP than Snider did. I've gone off on a tangent here, but all I really wanted to say is that I hope that the Blue Jays did not mismanage Snider's development as much as I think they did. And yes, if you take the human element out of my argument it becomes weaker. It seems like it's a fine line with young players like Snider – do you shield them lefties, or do you throw them into the fire and hope they sort it out? Much like you, I'm of belief that these players should try to overcome those splits – after all, Travis is still just 25 years old, and was only 21 at the time he was first called up. Another quick post supporting #freeTravis . Like others I feel emotionally invested in seeing him get his opportunity in the majors. Hate to see him traded but he deserves to be treated right.